Black Friday and Cyber Monday is nice to have, but we have got something bigger and better for you! 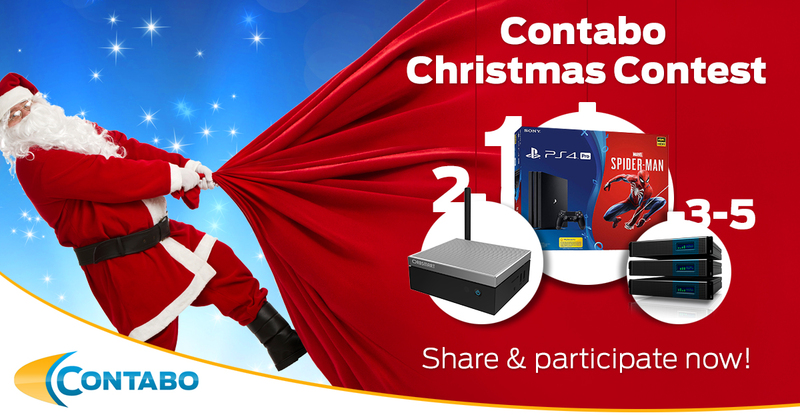 This year, we came up with the Contabo Christmas Contest for you, our valued customers! Honestly, it is that simple! Visit our Facebook page and share our Christmas-Contest post (right at the top of our site) on your private Facebook page and you are in, with a chance to win attractive prices (please see below)! Not much to say about that, right? The most popular and probably best console (CUH 7216B) out there is our 1st price, which we raffle among all participants! 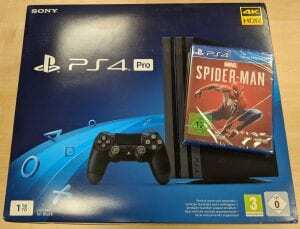 Plus, we add the game Spiderman to the package, so that you can start playing immediately! 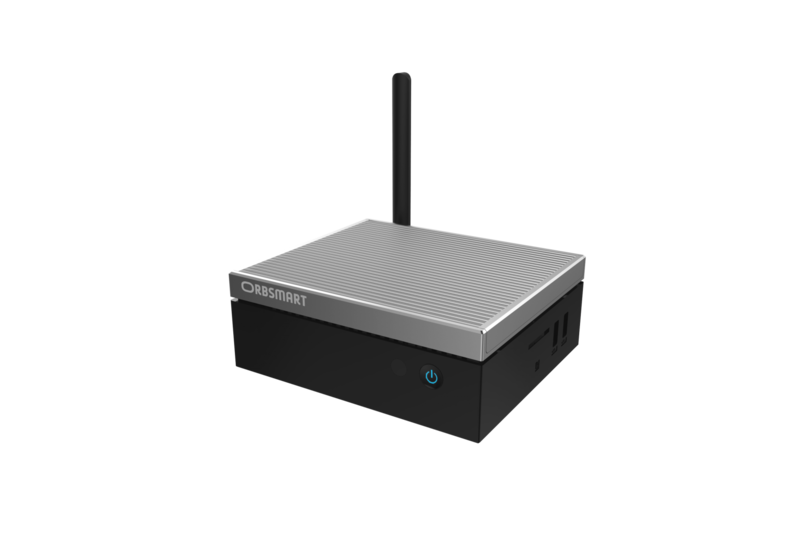 The Orbsmart is a compact Mini PC with a fanless casing based on Windoes 10 Professional. The hardware specifications (see below) offer enough power for computing-intensive tasks. Plus, you can add a 2.5" SATA HDD or SSD (max 15 mm). The integrated Intel HD Graphics 600 with H.265/HVEC-hardware acceleration renders ultra high-resolution 4K contents without any problems via HDMI 2.0. Small games run perfectly fine on this device. The AW-10 Pro can be used in many areas, for example as an office computer, mediacenter /streaming computer, and so on. 3. - 5. Price: One VPS M SSD for 12 months for free! Win one out of three of our VPS M SSDs and use it one year for free (additional charges for an administration panel or Windows Server can occur, if required). The winners will be drawn by lot and contacted by us at the beginning of January 2019 (regarding the address for dispatch and the setting-up of the VPS M SSDs). With your participation, you agree that we publish your first name and place of residence in our blog. 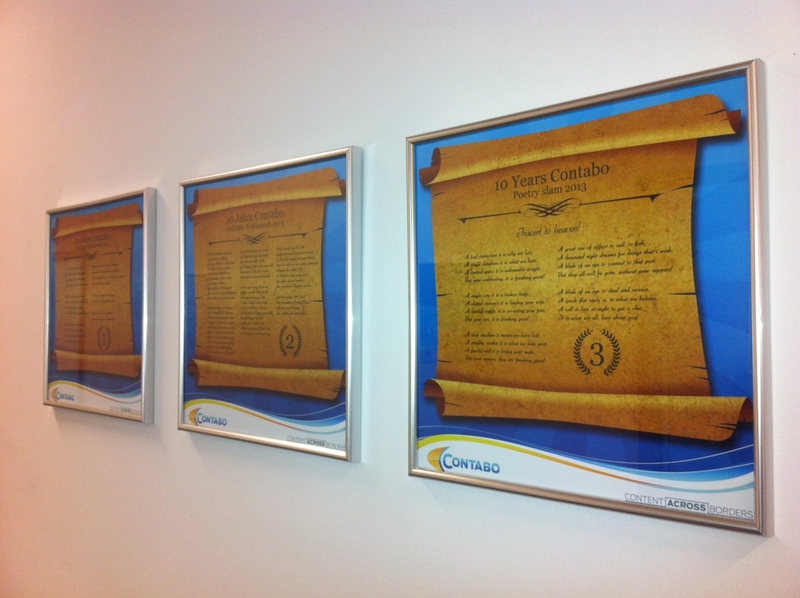 A few days ago we started our “10 years Contabo anniversary” setup promotion – but now it’s time for our creative heads. On the occasion of our anniversary we are going to start the second part of our special events. True to the motto “Join in and win” you can show your creative side and win at the same time one of our attractive prizes. Write a poem and win! Then, be a little patient. Our internal jury will select the Top 10 poems received. If you are one of the lucky winners you will receive one of the following nice prizes. 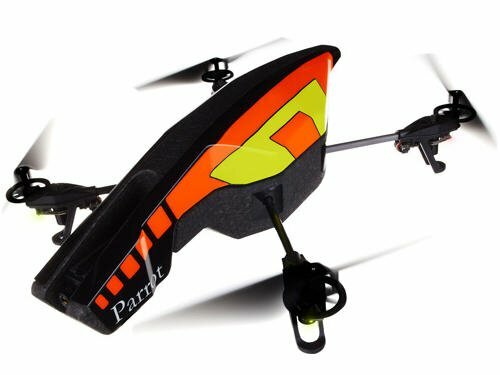 AR.Drone 2.0 on-board technology gives you extreme precision control and automatic stabilization features. 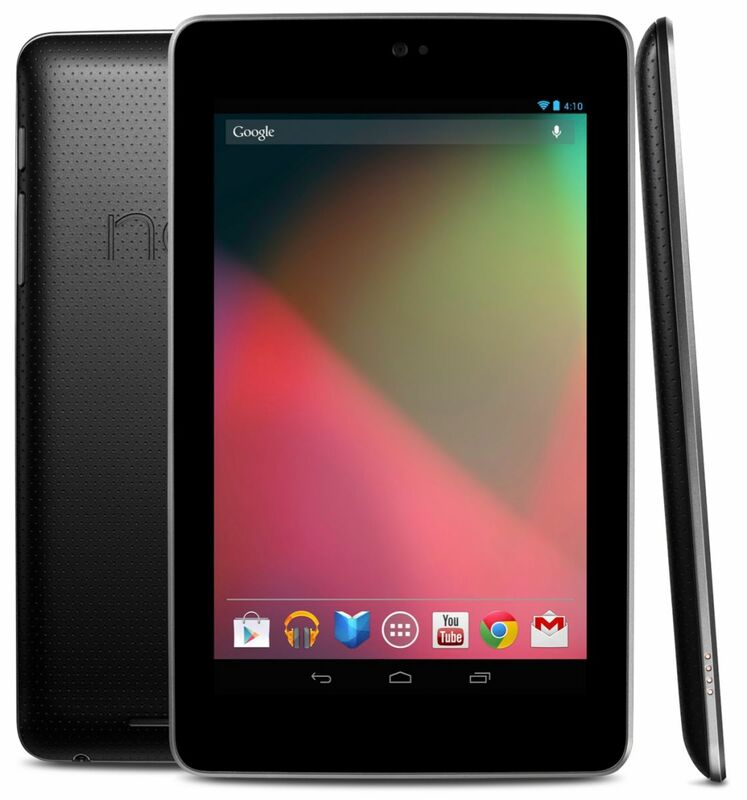 - Android 4.1 (Jelly Bean) what's in the box: ASUS 16GB Google Nexus 7 Inch Tablet, AC Adapter, Micro-USB to USB Cable and 1-Year Limited Warranty. Turn your TV into a Smart TV! 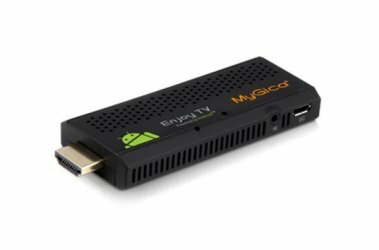 The MyGica ATV120 is an ultra compact Android TV Stick with a fast hardware and full XBMC support for a very small price. With the latest Android 4.1 Jelly Bean version & a powerful dual core CPU, all applications running absolutely smooth and without annoying lags. Whether you're surfing in the internet, playing games or want to watch movies. No problem with this High-End Android TV Stick. 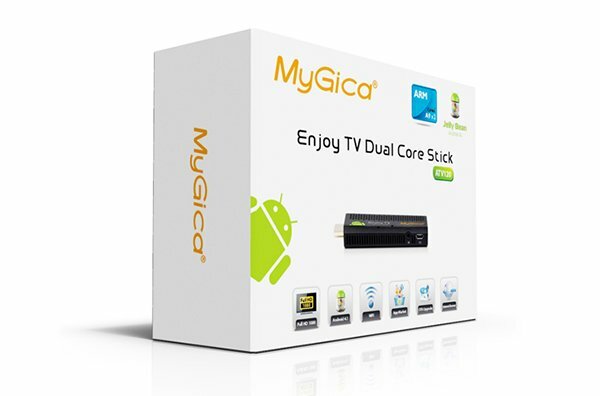 The MyGica NEO ATV120 uses an extremely powerful dual-core Cortex A9 chipset. This provides a smooth user experience. The ATV120 is currently one of the fastest Android Smart TV Stick available. The Mali-400 graphic co-processor provides a huge degree of graphics processing power. 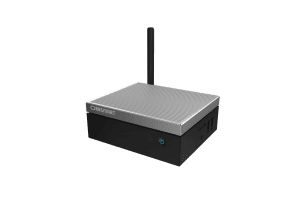 This translates into the ability to play the latest 3D games (providing they support mouse control) and play the latest video formats with ease. You had back luck and didn’t win one Android TV Stick? The SteelSeries Siberia v2 Full-size Headset was developed in cooperation with professional gamers to ensure that the soundscape and design would meet the demand of gamers and audiophiles. 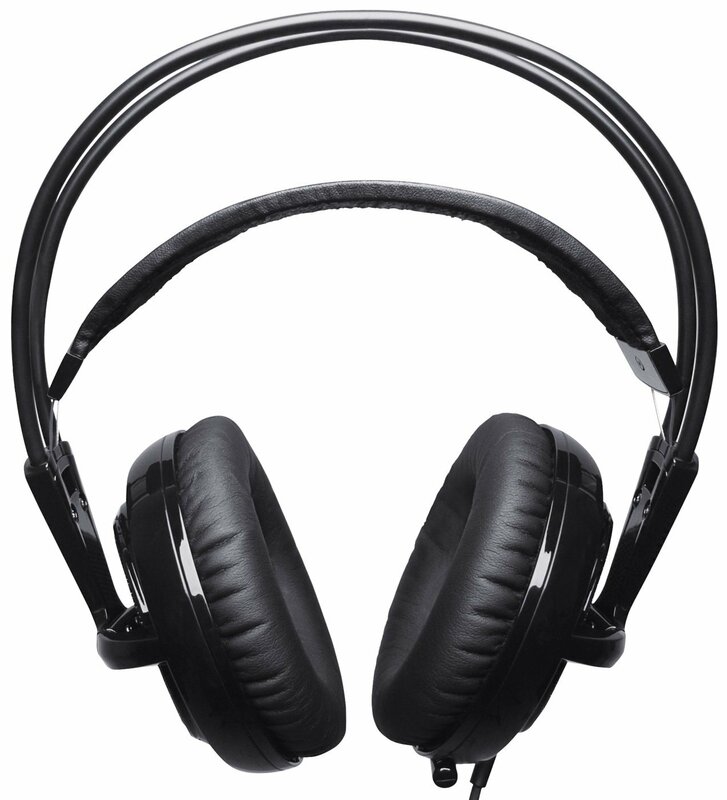 The improved multifunctional headset was designed with new thicker leather ear-cups for outside sound isolation while remaining lightweight with its trademark headband suspension for premium comfort during long periods of game play. As an upgrade from the original SteelSeries Siberia Headset, the new v2 sports a retractable uni-directional microphone for convenience in switching the headset from gaming on your PC or XBOX to listening to music on your Mp3 player. 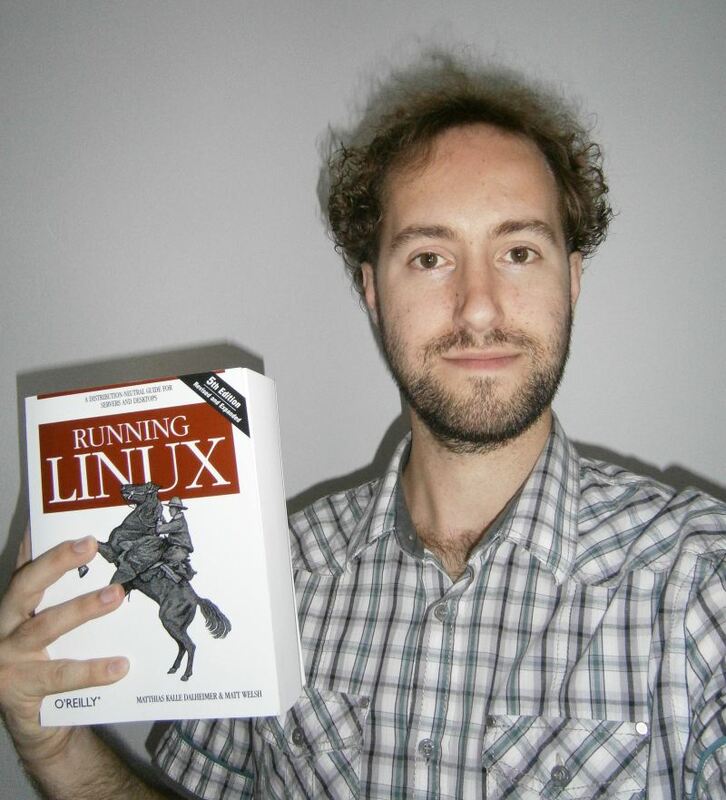 One of the best books on Linux, the UNIX-compatible operating system for personal computers. 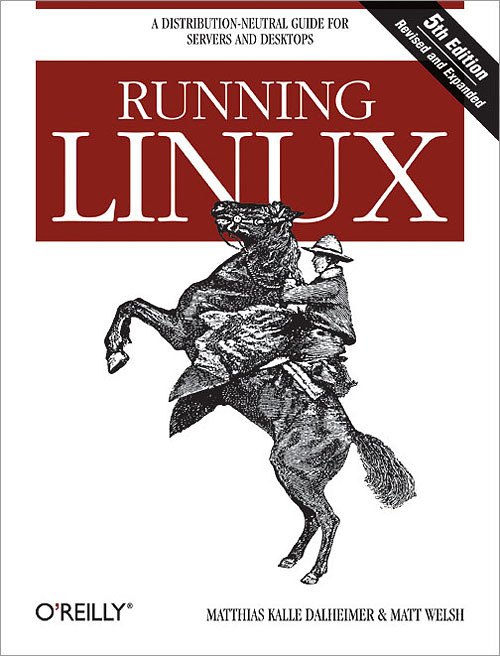 In the tradition of all O'Reilly books, Running Linux features clear, step-by-step instructions that always seem to provide just the right amount of information: covers everything you need in order to understand, install, and use the Linux operating system, including X Windows, TCP/IP, Perl, Tcl/TK, the gcc C and C++ compilers, and most Internet services such as email, SLIP, and WWW. For intermediate to advanced users. 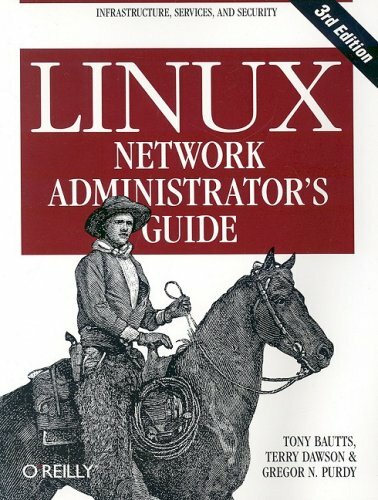 The Linux Network Administrator's Guide, Third Edition dispenses all the practical advice you need to join a network. Along with some hardware considerations, this highly acclaimed guide takes an in-depth look at all of the essential networking software that comes with the operating system--including basic infrastructure (TCP/IP, wireless networking, firewalling) and the most popular services on Linux systems. But as the follow-up to a classic, the third edition of the Linux Network Administrator's Guide does more than just spruce up the basics. It also provides the very latest information on the following cutting-edge services: * Wireless hubs * OpenLDAP * FreeS/WAN * IMAP * Spam filtering * OpenSSH * BIND * IPv6 Featuring a litany of insider tips and techniques, the Linux Network Administrator's Guide, Third Edition is an invaluable companion for any network administrator interested in integrating Linux into their Windows environment Authored by Terry Dawson, Tony Bautts, and Gregor N. Purdy, the Linux Network Administrator's Guide, Third Edition emerged from the Linux Documentation Project (LDP). The LDP's goal is to centralize all of the issues of Linux documentation, ranging from online documentation topics such as installing, using, and running Linux. We are already looking forward to many many submissions of your poems. Please keep in mind: Your poem does not have to follow a certain rhyming scheme – just be creative. And don’t forget to send it during the next days, thus until the 12th of June, to contest@contabo.com at the latest in order to be considered for our great prizes! By sending mail with the poem, you agree on our right to publish your poem on our social media platforms. Moreover, you guarantee that you created the poem completely by yourself and, thus, no copyrights have been violated or will be violated by publishing this poem on our websites. No part of a prize is exchangeable for cash or any other prize. In the event of any dispute regarding the rules, the conduct or results of the competition, or any other matter relating to a competition, the decision of Contabo shall be final. Finally… we are celebrating our 10th birthday. Exactly 10 years ago Contabo, formerly known as Giga-Hosting and Giga-International, started with a small service-oriented approach – and now, 10 years later, we operate our own data center in the heart of Munich and are an integral part of the national and international hosting market. By the way: More details about our company history – including previously unreleased facts and shocking pictures – will be published in our Contabo blog within the next weeks. Prevailing for such a long time in a fast-changing environment (called the Internet) makes us really proud and that’s the reason why we would like to express our special thanks to our customers for the successful and trustful cooperation over the past 10 years. In order to give this anniversary its due, we would like to thank you with several very special events. 10 years Contabo = 10 days no setup fees! 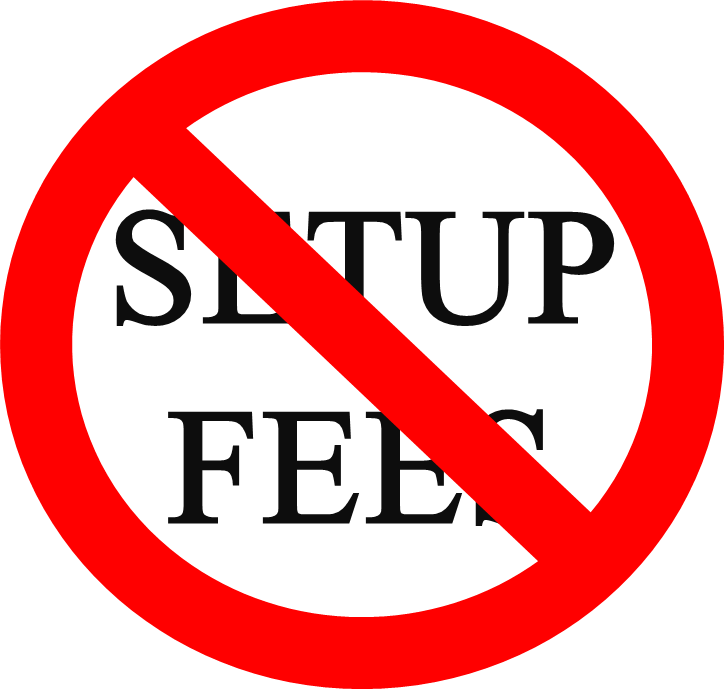 We are waiving the setup fees for the next 10 days. All of our hosting products are available without any installation fee. You want to save up to 70 Euros? 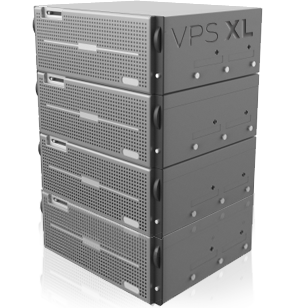 Then order one of our Dedicated servers (except: Dedicated server X and 6-Core) or virtual servers or any other product within the next 10 days. So what are you waiting for? The promotion is starting today and is valid for the next 10 days only. 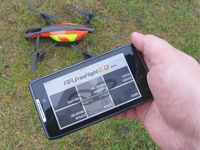 Join in and win: Remote-controlled drone, Nexus 7 Pad and much more! This competition is addressed to all the creative ones among you. You are a poet or you love to write? Show us what you are made of and send us your English poem about Contabo. The winners will be awarded with one of ten very attractive prizes. Details about the competition are coming soon. Be informed as usual on our Facebook Page or here on our blog. Markus on Always be up to date with our server status notification! rawdha on Always be up to date with our server status notification! Markus on Webspace: Free SSL certificates available now!